This Fall I'll be returning to the part-time faculty in the Game Design department at George Brown College. 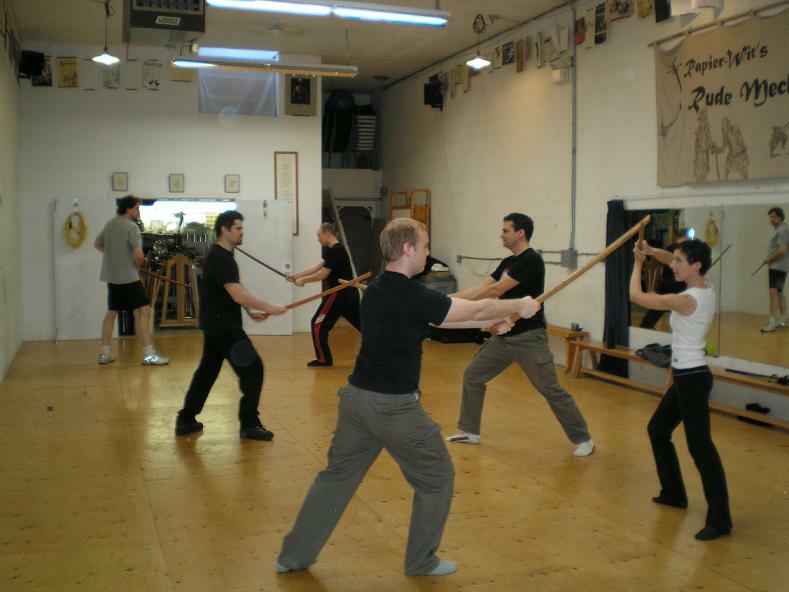 My Character Acting course covers 'Combat Direction' including everything from hand-to-hand combat, close-range weapons like knives, to 'ranged weapons' which can only mean - *gulp* - firearms! It makes sense, given that fighting and armed combat figures heavily in video games. 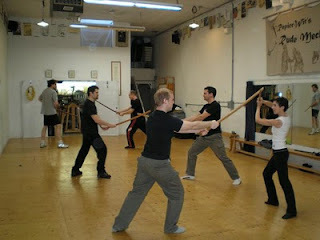 I came across an interesting school downtown -- Rapier Wit --Canada's oldest stage combat school. After a great chat with the school's founder, Daniel Levinson, I decided to visit one of their open classes. I soon found myself not only observing but actually trying out some rolls -- both unarmed and 'armed' (with just a wooden dowel, not a machete or anything!). It was a great class! There was even a local comic book artist there sketching -- which I may do myself sometime. I would highly recommend getting some fight choreography training for anyone planning to animate fight sequences. Learning combat skills is one thing, but learning how to stage them for an audience is exactly what we need for animation. Highly recommended!